The award-winning Venom offers complete protection from head to chin. Contemporary, contoured visor design creates a more complete seal to block debris. Three-part comfort adjustment system makes it easy to wear for all-day applications. 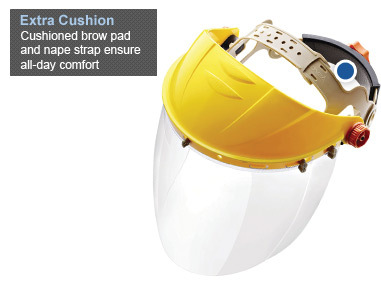 Extra soft brow pad and nape strap delivers superior comfort. Independently tested and certified by Underwriters Laboratories to meet ANSI Z87.1+ and CSA Z94.3 standards.